For the third year in a row (2012, 2013, 2014), Beebe was named one of America’s 100 Best Hospitals for Orthopaedic Surgery, Joint Replacement, and Spine Surgery, according to a report from Healthgrades®. 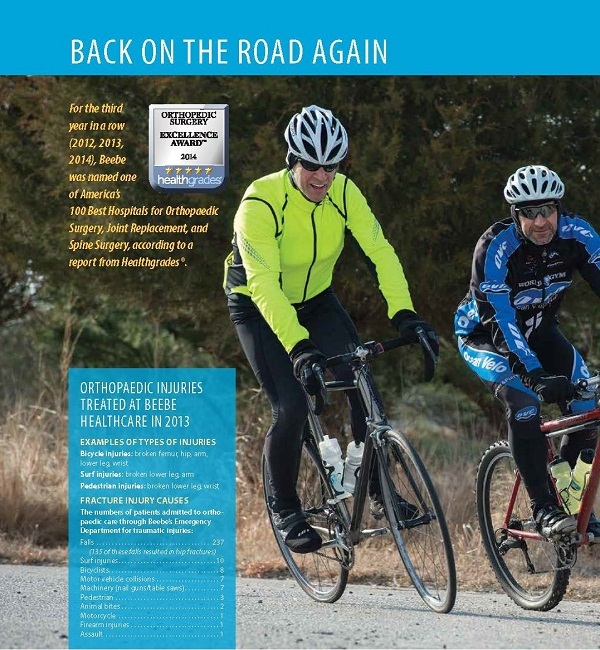 Click here for the full Orthopaedic Story from the Beacon publication. Click here to visit the Beebe Healthcare Orthopaedics webpage.